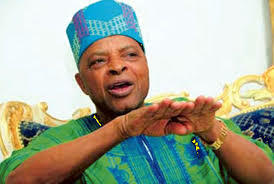 Former chief of army staff and Afenifere leader, Gen. Alani Akinrinade has described former president Olusegun Obasanjo’s endorsement of Atiku Abubakar as his choice in next week’s election as an affront and an insult on the entire populace of Nigeria. “What do you say of a man who once tore his party card in the open glare but is now promoting the same party? What do you say of a man who said he was going to create a “third force”, fooled some impressionable characters to buy into such idea and later left them in the lurch to return to his vomit? The Bible says something about such people – “A double-minded man is unstable in all his ways” – James 1:8. “Obasanjo is not a man whose judgment can be trusted. Period! I am warning Nigerians not to fall prey to Obasanjo’s antics again. Remember the saying – “Fool me once, shame on you. Fool me twice, shame on me”. How many times has Obasanjo fooled Nigerians?